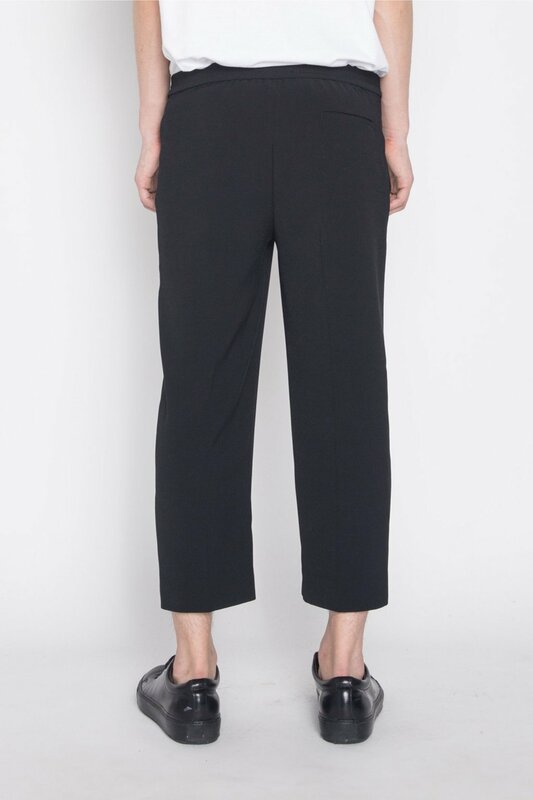 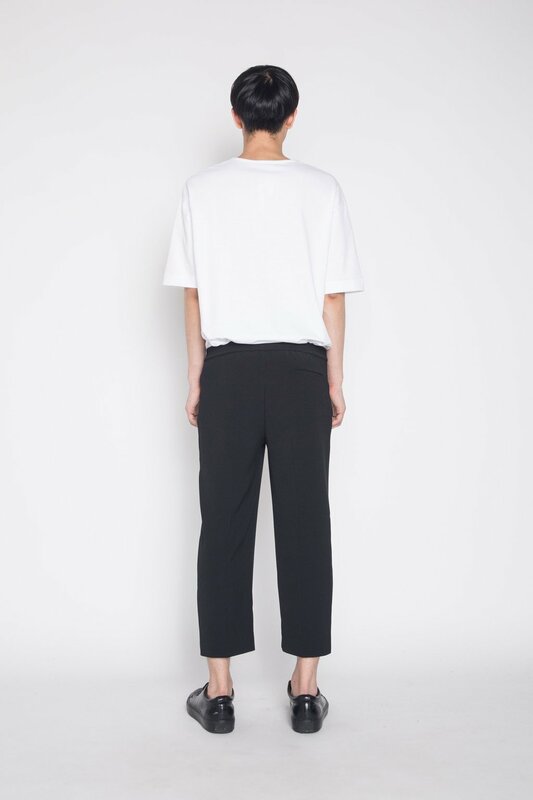 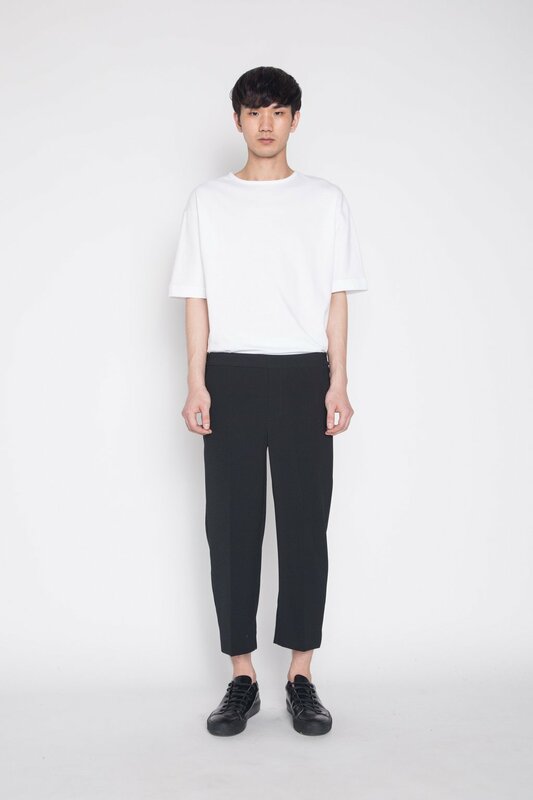 Simple in style, these cropped trousers are an essential for your spring wardrobe. 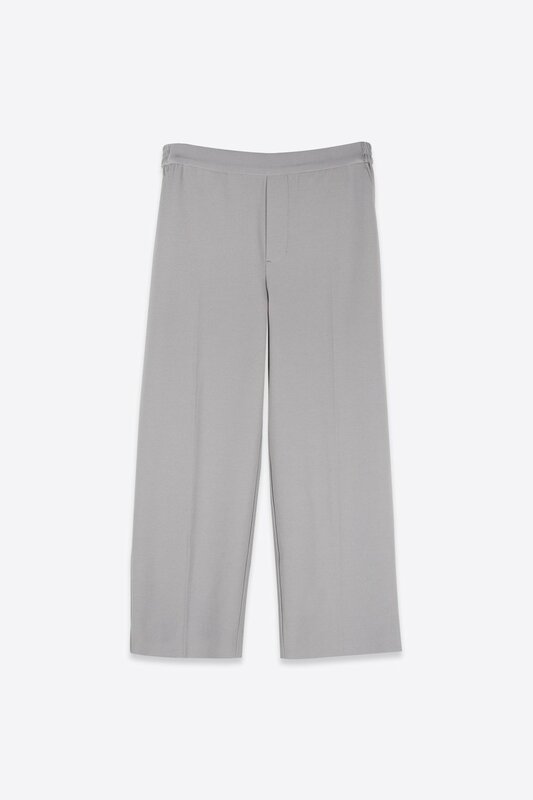 Made from a sleek, crepe-like fabric, they feature wide legs, a faux fly, elastic waistband, and sleek front pockets. 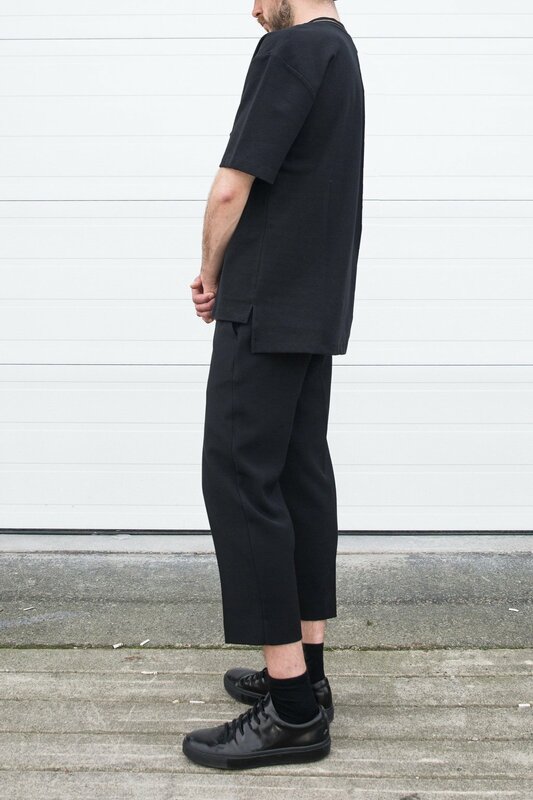 Style with your favourite printed socks and crisp white sneakers for a casual look with just the right amount of detail.